Barbara Evelyn Oman was born on January 28, 1941 in New York Mills, Minnesota. She attended New York Mills High School and graduated with the Class of 1959. After high school she moved to Minneapolis, Minnesota. She was employed at Gambles and Honeywell as a secretary and bookkeeper. She moved back to New York Mills in 1962 where she was employed as a secretary at the New York Mills High School. On October 9, 1965 she was united in marriage to Maurice “Morey” Baker in rural New York Mills. Their marriage was blessed with four children: Polly, Missy, Rich and Jason. Barb raised her family and worked as a secretary for her husband’s TV repair business, Morey’s TV and then Sportsport. Morey sold the TV business after 18 years, and Barb was employed at J and L Drug. She then worked for the Library and St. Peter’s Evangelical Lutheran Church in New York Mills, retiring in 2011. After retirement, Barb volunteered for Meals on Wheels, Piecemakers, St. Peter's Women's Group and the Eastern Star. Barb also enjoyed reading, quilting, crafts, crocheting, knitting, baking, gardening and crossword puzzles and she was a very talented artist. 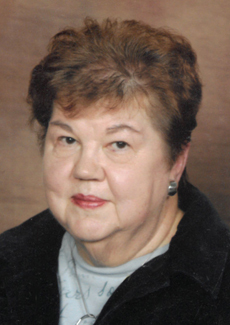 On September 4, 2018 Barb passed away at Sanford Health in Fargo, North Dakota at 77 years of age. She will be dearly missed by her family and friends. Preceding Barb in death were her parents; her husband, Morey; and brother, John Oman. Barb is survived by her daughters: Paula (Gary) Peterson of Ottertail, MN and Melissa (Michael) Warren of Bloomington, IL; sons: Richard Baker and Jason Baker of New York Mills, MN; grandchildren: Jessica (Kyle) Ransom of Fargo, ND; Samantha and Jacob Warren of Bloomington, IL; and Braeden Peterson of Ottertail; sister, Kathy (Wes) Pernula of Brainerd; brothers: Ted (June) Oman of Winthrop and Mark (Kathy) Oman of Andover; nieces, nephews, other relatives and a host of friends.